Yale’s Integrated Graduate Program in Physical and Engineering Biology (PEB for short) was established to train a new generation of scientists who are skilled at applying physical and engineering approaches to biological research, and who are also sufficiently sophisticated in their biological training that they can readily identify and tackle cutting-edge problems in the life sciences. The PEB leadership is committed to a new paradigm that transcends traditional, artificial, boundaries both between disciplines and also between research, teaching, and learning. PEB students acquire a depth of knowledge in their home department and also a breadth of knowledge across disciplines from PEB courses and activities. PEB is not a degree-granting program. Students receive their Ph.D. degree from a home department along with a Certificate of Completion from the Integrated Graduate Program in Physical and Engineering Biology. To ensure that students’ time to the Ph.D. degree is not extended, the requirements of the home departments and tracks have been carefully integrated with the PEB requirements. Typically, PEB courses are taken as electives, counting towards the credits required for the Ph.D. degree in one’s home department, such that there is a zero to one half credit increase in the total course requirement. Through the program’s coursework and additional activities, PEB students bond and become part of a network of researchers who use quantitative methodologies to approach biological problems, across the university and beyond (see Benefits). PEB students also have opportunities to participate in a variety of outreach efforts, and to develop new ones. 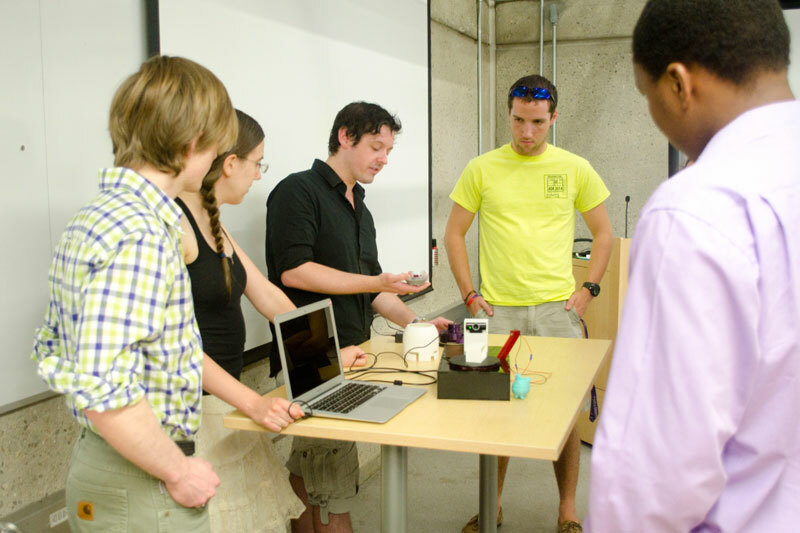 PEB students explaining their Integrated Workshop 3D printing designs in the Center for Engineering Innovations and Design to Connecticut College undergraduates visiting Yale. 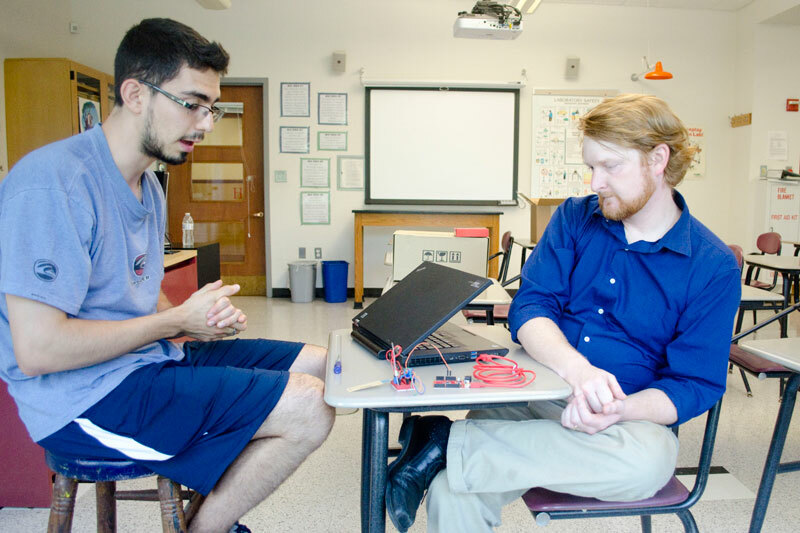 A PEB students working with a high school teacher to finalize an age appropriate electronics module for middle school students participating in Pathfinder Hopkins School.